Like with any business, an employee handbook is a great way to introduce new hires to your retail company. In an industry known for high turnover, this is of particular importance in order to ensure that decisions from the top are communicated at every level, and to every new hire. An employee handbook is an essential tool for retailers to document and distribute their policies – doing so may save retail employers from HR headaches or legal issues down the road. Additionally, many retail environments pride themselves on providing exceptional customer service, and since a company’s reputation is in the hands of its’ customer-facing frontline employees, the employee handbook is paramount. When does your store open and close? What is the procedure for employees to open and close the store? How many employees are working at a given time? How long are the shifts? When do shifts get scheduled? You should include answers to basic questions like these in your employee handbook to ensure all new hires (as well as supervisors and managers) are on the same page. From learning to use POS equipment to manning the dressing rooms, to processing clothing/merchandise, comprehensive training is often required for retail employees. Detail your training program in your employee handbook to give new hires a sense of what to expect. It is a good idea to address the matter of taking breaks at your retail business in your employee handbook. With employees being on their feet for full shifts, they will need breaks regularly and are likely required to take breaks by law. Your policy should cover the length and frequency of breaks and point out any designated locations or prohibited activities during break time. Employees working on the floor are the faces of your store – the impression they leave with customers can make or break the sale, and ultimately, your business. Retailers should provide employees with guidance on how to interact appropriately with your customers, covering items like appropriate language and etiquette. There should also be clear company policies addressing special cases such as conflict resolution, handling complaints or assisting customers with disabilities, just to name a few. Dress codes vary widely across businesses. 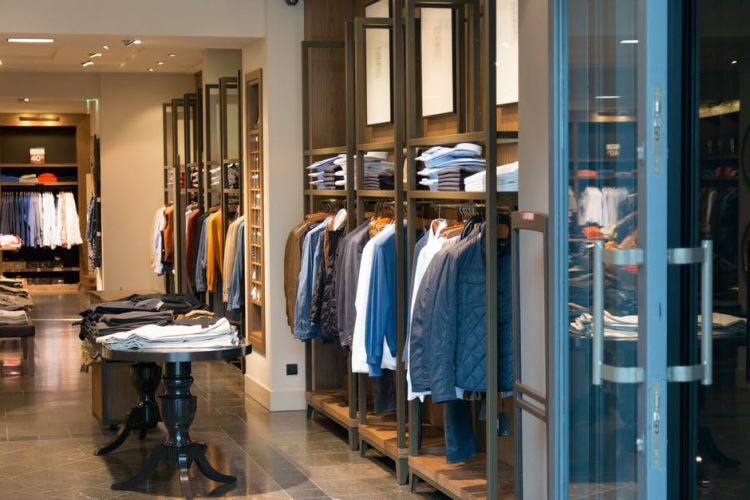 While some retailers require employees to dress in uniform, apparel retailers will often ask that employees wear an item from the store while on the floor. In any case, it is recommended to cover dress code guidelines and policies in your employee handbook to avoid confusion. Confirm with your legal team that these dress code requirements are appropriate and fair. A well-known retail chain recently came under fire for implementing a dress code that required females to wear makeup, causing a PR and legal crisis. Avoid issues like this by ensuring your dress code does not conflict with other policies regarding equality and rights. Retail environments have their own unique risks associated with employee health and safety, for instance employees may use ladders to grab items from the top shelf or carry heavy boxes to and from the shipping area. To ensure a safe environment, your employee handbook should cover procedures around prevention of accidents and protocols for dealing with emergencies for both employees and customers. How do employees request specific days off? What should employees do if they are sick and unable to work? What is the protocol when it comes to changing or trading shifts with other employees? Your employee handbook should outline answers to these questions, providing employees with a good understanding of their options when it comes to managing their shifts. Unfortunately, employees are one of the leading contributors to lost revenue for retailers. If there is a loss prevention strategy in place that involves employees – for instance if it is company policy to inspect employee bags at the end of a shift – this should be documented in the employee handbook. Additionally, your employee manual should cover proper protocol for handling robberies or suspected customer theft.